Did any of you watch the Super Bowl last night? I watched about half with my husband and kids, then I left Hubby to watch the rest while I helped the kids with their baths and tucked them into bed. 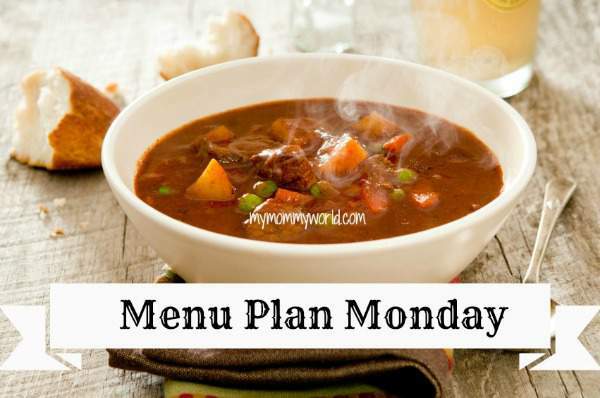 For more ideas for your own weekly menu, head over to Org Junkie’s Menu Plan Monday link-up! What’s for dinner at your place this week? We had spaghetti last night for dinner with homemade French bread. It was so good. I hadn’t made spaghetti in a while. I’m going to have to make your football sandwiches at our house soon. I know it’s a meal my family would love. I hope your week goes well along with the dinner at church. I saw your French Bread on Instagram and told myself that I needed to check your blog for the recipe…it looked so good! It definitely sound like you have a busy week ahead of you! I’ll be praying for you. Breakfast for dinner is always a hit at my house. We do it about every other week! Yeah, we love having breakfast for dinner every week…it gives me a chance to cook the big, hearty breakfasts that we don’t have time for during the week.